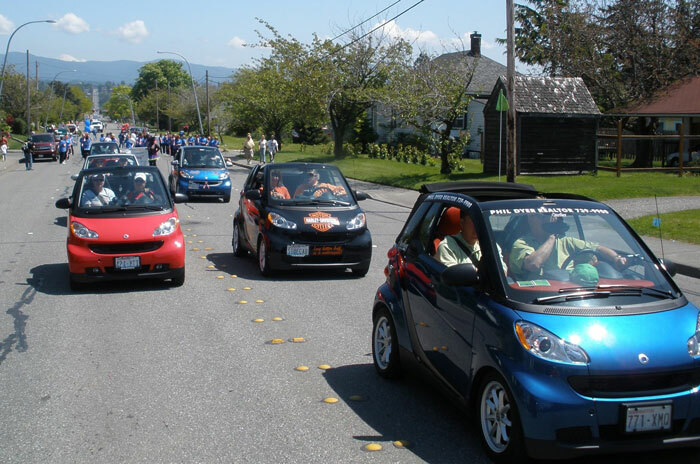 Bob and I have offered to sponsor a smart car rally for the parade coming up on May 26th. This will be the 98th year of the parade during Ski to Sea. We would love to have you all come and join us in this Parade Run. Then maybe after for whomever can we can rally down through Chuckanut and have lunch in Edison. If there are others you know of that have not received this email, please feel free to invite them! Check this date, and RSVP back to us. The more in the parade the merrier. We did this a few years back with about 7-8 smart cars and it was so fun – I’d love to double that this time! Don’t hesitate to call or text me for more details or questions. We’ve already committed and are sure that we cannot be the only “Smart” ones in this county. It’s sure to be loads of fun!